Dawsons Carpet Cleaning are a professional firm specialising in carpet cleaning, tile & grout cleaning, upholstery cleaning, leather cleaning and mattress cleaning/sanitisation. Servicing the Hills District, we pride ourselves on ensuring our customers are completely satisfied with our services. We take the extra time to make sure your furnishings are thoroughly, deep-down cleaned. 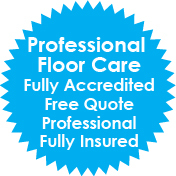 Our technicians are trained to the highest standard which ensures you get the best possible result. Contact us today and see the difference!